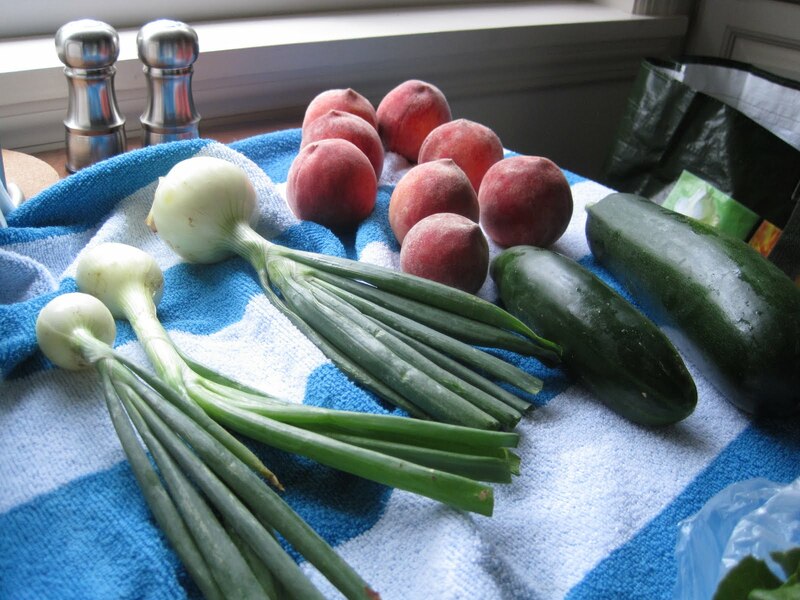 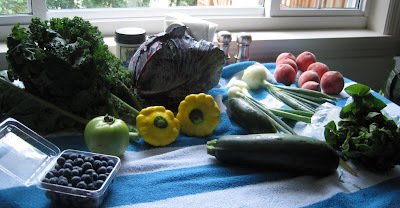 This week's CSA box includes: little gem head lettuce, cucumber, blueberries, cling peaches, red cabbage, green candy onions, kale, zucchini, patty pan squash, and green tomato. 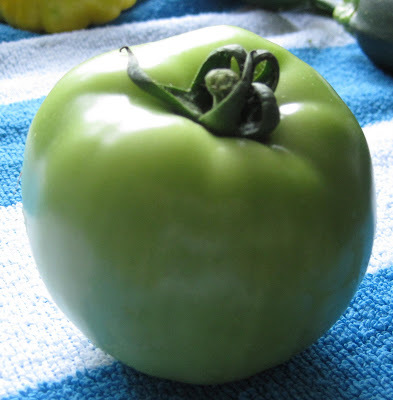 The green tomato makes me think of fried green tomatoes and our honeymoon in the south. 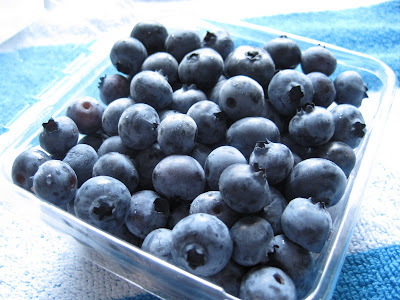 Blueberries, my favorite: And more cling peaches - I love summer fruits.